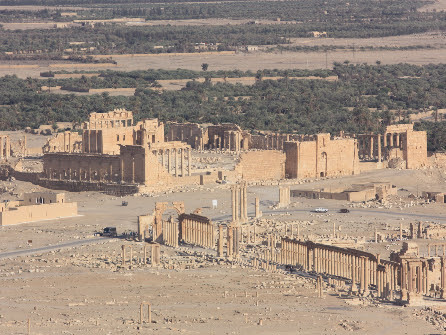 The organization Islamic State (IS, also known as ISIS) has taken over the ancient city of Palmyra in central Syria. The ruins of Palmyra are next to a modern city which is also under the control of the IS. The IS has been taking over parts of Syria and Iraq. The aim of the IS is to establish a state for Muslim people where Islamic law is followed. The group’s leader is Abu Bakr al-Baghdadi. The IS came out of another group in Iraq. In the last couple of years, it has become powerful. It is well-funded. The IS is known for being strict, harsh, and brutal. The group has killed many people, including many Muslims who don’t agree with its philosophy. The Iraqi troops and the Syrian army have been fighting the group. Earlier this year, the IS destroyed ruins from the ancient cities of Hatra and Nimrud in Iraq. Hatra was founded over 2,000 years ago, and Nimrud over 3,000 years ago. There has been a civil war going on in Syria since 2011. 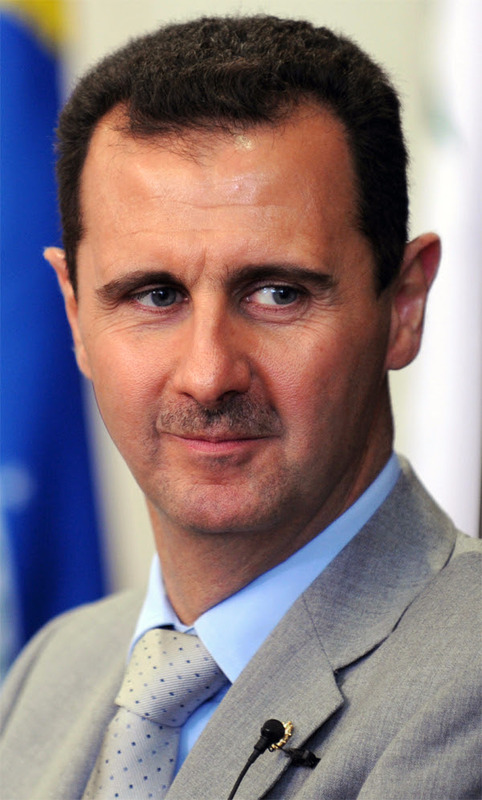 Syrians want their president, Bashar al-Assad (image), to step down. He has been the president for almost 15 years. Rebel groups formed and started fighting Assad’s troops in 2011 to bring down his government. Fighting still continues on in the country. However, the IS also started fighting against Assad’s regime. Not all rebel groups agree with the ways of the IS, and they don’t want the IS to take over. Some of Syria’s cities are considered to be very old. Its capital, Damascus, is one of the oldest continuously inhabited settlements in the world – over four thousand years old. Palmyra is an ancient city and was built in an oasis. It was used as a stopping place for people crossing the Syrian desert. 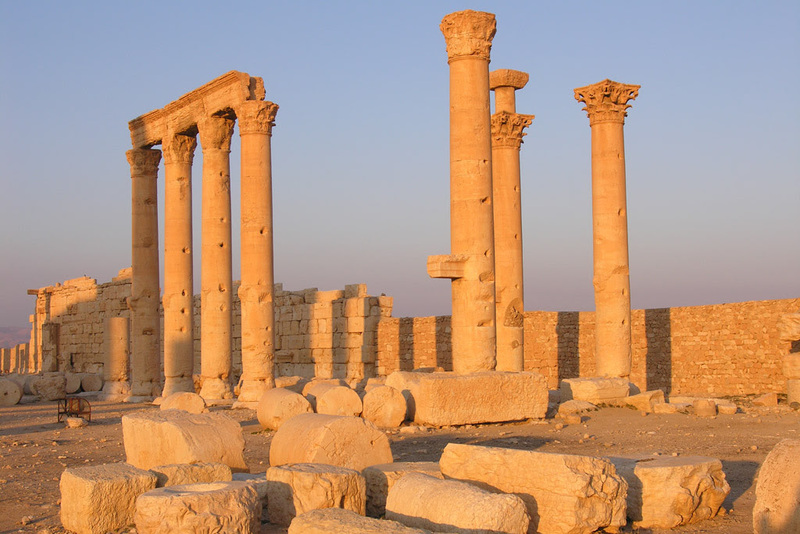 Palmyra flourished around 2,000 years ago as it became an important city on trade routes linking the east to the west. A few years ago, some of the ruins in Palmyra ended up with bullet holes (image) because of fighting between the Syrian troops and the rebel groups.